The Command Line Interface (CLI) provides functionalities for developing Tizen applications without the Tizen Studio. 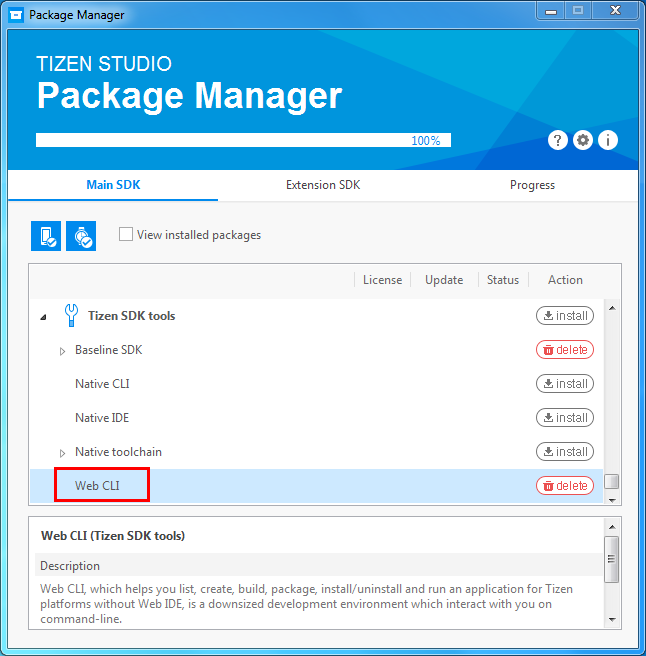 This topic describes the Tizen Studio CLI commands for packaging, installing, and running applications, and how they are used when working with TV applications. The Tizen Studio TV Extension supports all of the Tizen Studio common CLI commands, but some commands are used differently when working with TV applications than with mobile or wearable applications. If you do not have one already, create a certificate profile. In the Tizen Studio Device Manager, right-click the connected emulator or device and select "Permit to install applications". <key>=<value>: CLI configuration key and value to set. default.sdb.timeout=<timeout value>: Default SDB connection timeout. The default is 60000 milliseconds. -g, --global: Sets the specified option globally (for all installed SDKs on your computer). -l, --list: Lists all CLI configuration keys and values. For more information, see Setting Configuration Options for the common Tizen CLI. -out, --output <directory name>: Output directory name. By default, the build result is placed in the "/.buildResult" directory. For more information, see Building the Project for the common Tizen CLI. 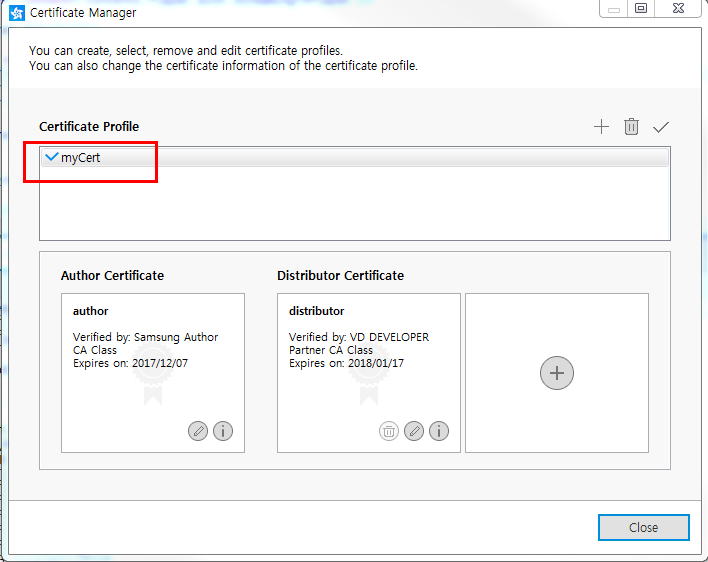 To find your certificate profile name, in the Tizen Studio menu, select "Tools > Certificate Manager", and find the name of the active profile in the "Certificate Profile" panel. Only ".wgt" files can be installed on a TV. For more information, see Packaging an Application with Signing for the common Tizen CLI. You can retrieve the serial number and target name using the sdb devices command. In the following example, the serial number of the connected device is "emulator-26101" and the target name is "t-1031-1". If the application does not install properly, check that the application ID and package ID information exists in the "config.xml" file. For more information, see Installing the Application on a Target for the common Tizen CLI. To run TV applications, the -p option requires the application ID instead of the package ID. You can find the application ID in the "config.xml" file. For more information, see Running the Application on a Target for the common Tizen CLI. To uninstall TV applications, the -p option requires the application ID instead of the package ID. For more information, see Uninstalling the Application on a Target for the common Tizen CLI. Extract the content of the ".wgt" file using a compressed file management application, such as 7-Zip. 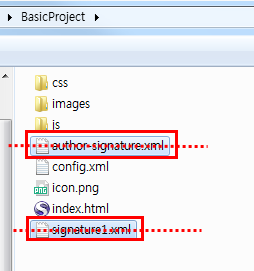 In the unzipped content, delete the "author-signature.xml" and "signature1.xml" files. Package the application using your certificate profile.